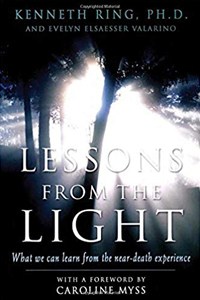 Lee Thornton’s book is an autobiographical account of how her life-changing encounter during a near-death experience helped guide her on a path of healing. An upbringing that included childhood sexual abuse and deception left her battling depression and illness on her quest for wholeness. She recounts growing up as the daughter of a distinguished U.S. diplomat in a world where respectable appearances concealed the reality of underlying secrets, violation, duplicity and manipulation. In the course of going through a divorce, long separations from her son, struggles with unresolved family issues, and trying to heal from a chronic illness, she learns universal lessons about love, self-acceptance, and forgiveness that help her win her hard-fought battle for wholeness, authenticity, and the realization of her purpose. She hopes that sharing her story helps others who have suffered similar adversities or are seeking self-acceptance and greater fulfillment. “Lee Thornton journeyed from the depths of traumatizing, mind altering, and emotionally debilitating childhood sexual abuse by her father. She uses a paintbrush of descriptive words to show how trauma and her harmful family environment during childhood affected her adult life. A broken spirit, a remnant of a person, amidst a backdrop of privilege, Lee’s personal life echoed the powerlessness and symptom of her victimization. “That is, until she sought professional help through counseling and other spiritual practices. It was then that she was finally able to fully accept herself. Whatever happened to her in the past, she managed to keep her soul.